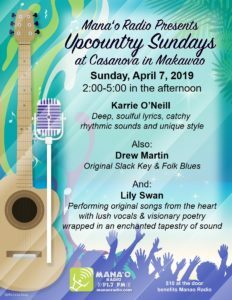 Mana’o Radio invites you to come join us on Sunday, April 7th for Upcountry Sundays, our monthly benefit showcase. 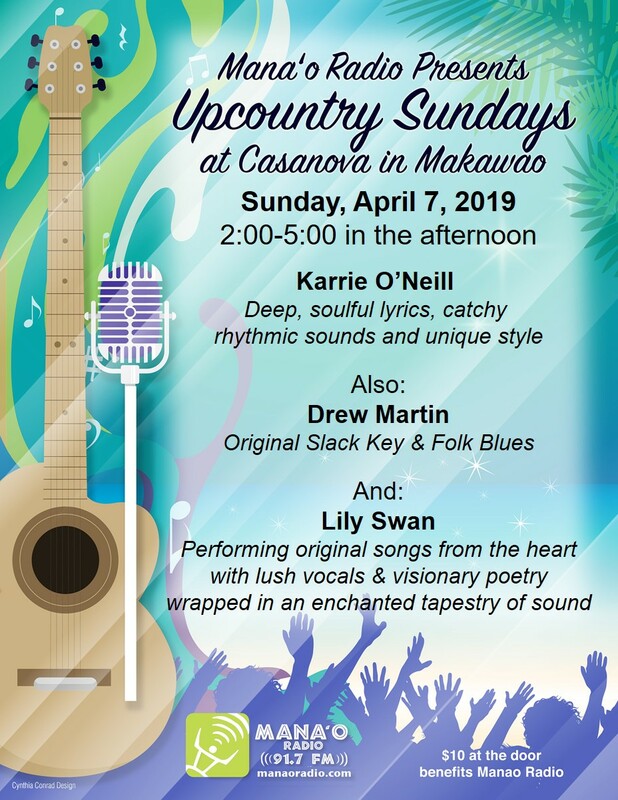 Featuring the best in live music, from both Maui artists and visiting musicians, this long-running show happens on the first Sunday of every month at Casanova, Makawao from 2 to 5 PM. It’s a beautiful afternoon of great live music and great friends. 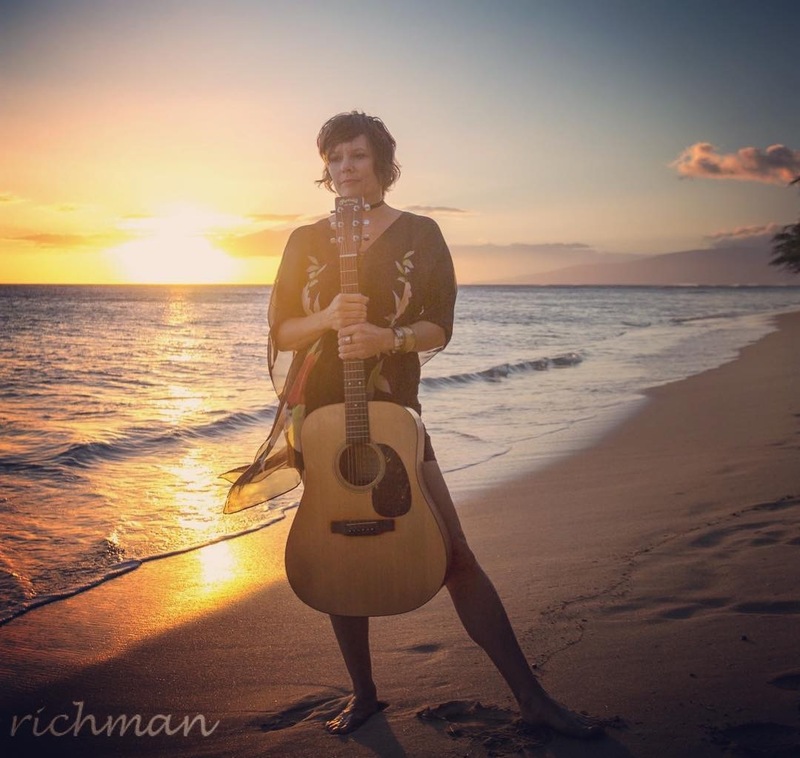 On Sunday, April 7th, we are proud to bring to the stage Karrie O’Neill with her deep soulful lyrics, catchy rhythmic sounds and unique style! 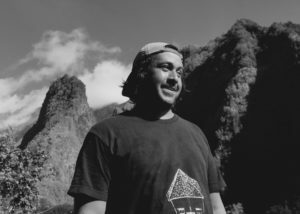 Also on the bill will be Drew Martin with his original Slack Key & Folk Blues. Opening this show will be Lily Swan performing original songs from the heart with lush vocals & visionary poetry wrapped in an enchanted tapestry of sound! Only $10 at the door goes entirely to benefit Mana’o Radio. We would like to welcome listeners old and new to Maui’s most eclectic and varied radio programming! If you can’t make it to Casanova, you can still catch the entire show LIVE on our easy-to-use website at http://www.manaoradio.com. You can tune in to the show from anywhere in the world, starting at 2:00 PM Hawaii time. Don’t forget that while listening you can also make a donation to listener-supported Mana’o Radio right on our website if you like. Otherwise, just tune in April 7th for an afternoon of great music. Come eat, drink and be merry with us!